Any of you that follow me on Instagram, and have seen snippets of my life and my house, will know about my fondness for all things colourful, bohemian and Scandinavian. It turns out I'm a fan of all things Dutch too! Living out in the sticks, quite a lot passes us by - and one shop that I somehow seem to have missed launching over here in the UK is the Dutch lifestyle retailer HEMA. 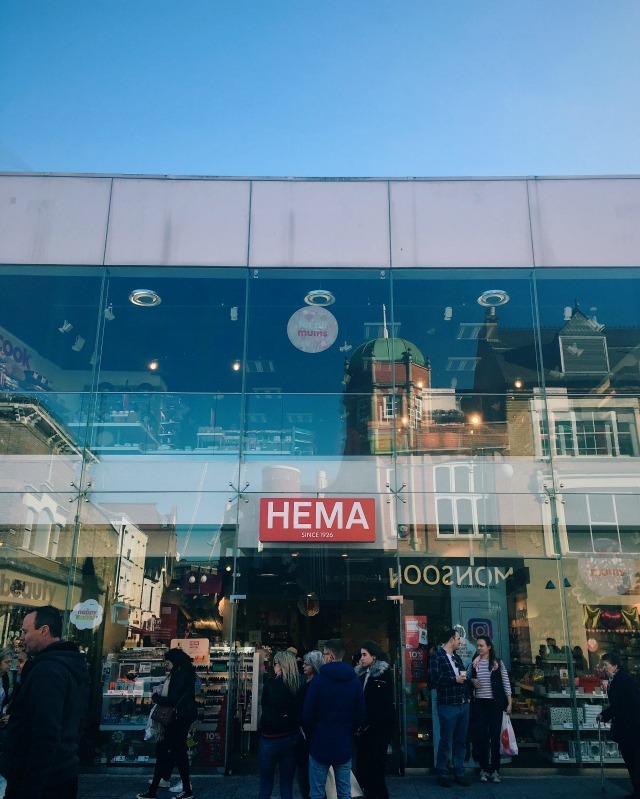 Known for it's high quality and affordable prices, HEMA sells everything you could possibly need; from household knick knacks to arts and crafts supplies, as well as make up, food, clothes, stationery, toys and brilliant gift ideas. When I visited my parents in London last week I discovered their local HEMA store in Kingston-upon-Thames and fell head over heels in love with it the minute I walked through the door. I'd describe it as being similar to IKEA or Tiger, but the whole shopping experience is so much more pleasant, with the stores' wide aisles and well marked out designated areas for each department. 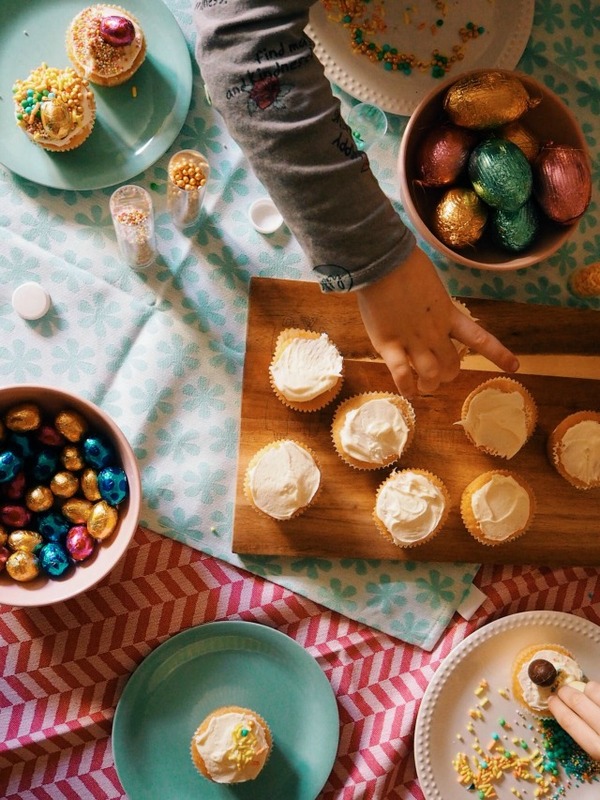 HEMA is focused on togetherness, and with that in mind I was challenged to come up with some ideas for keeping the girls entertained this Easter! 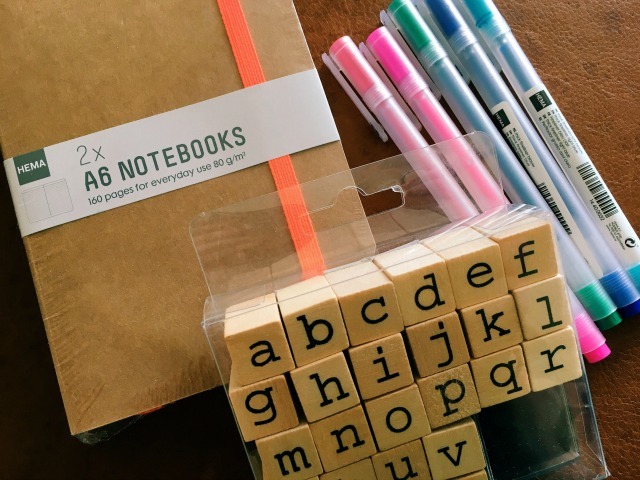 The school holidays aren't complete without a road trip, and one thing I always buy to keep the kiddos entertained on long car journeys are notebooks and pens! These HEMA products were a total bargain - two (excellent quality) notebooks for £2 and brightly coloured gel pens for 75p a pop. I also bought myself a set of stamps so that I could personalise them (and save arguments.... 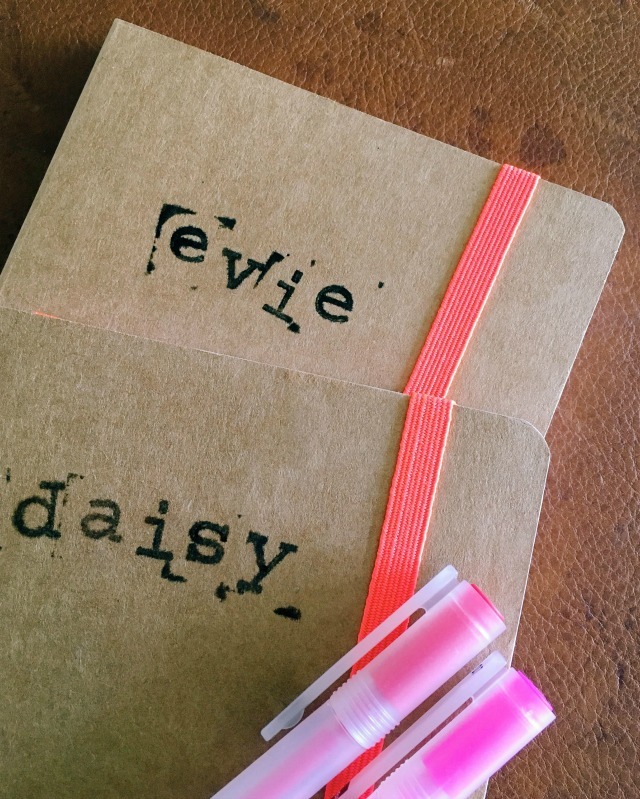 I'm clever like that ;)) for just £3 including a mini ink pad! It wouldn't be the school holidays without a little arts and crafts session. 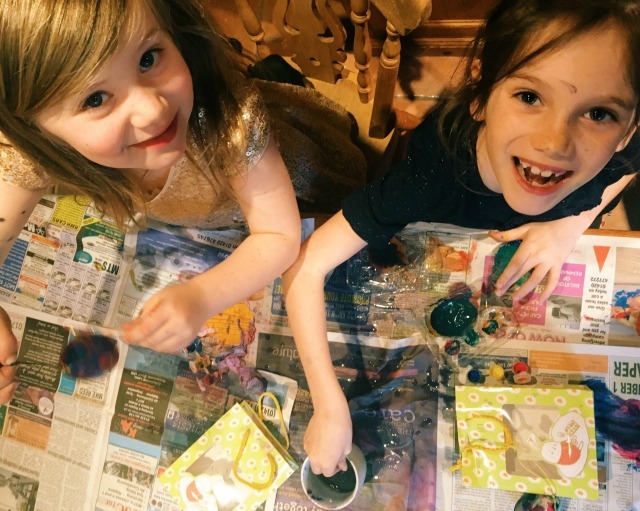 Now I'm no Pinterest mum, as we have established before, but I'm a sucker for a pre-prepared kit and HEMA sell little paint your own Easter tree decoration sets for just £2.50 each. They contain the egg, paints and a paint brush - you just need to provide the newspaper to protect your kitchen table and water to wash the brushes. I've actually been back and bought more of these as Easter presents; there's always waaaaaaaay too much chocolate floating about at this time of year for my liking. 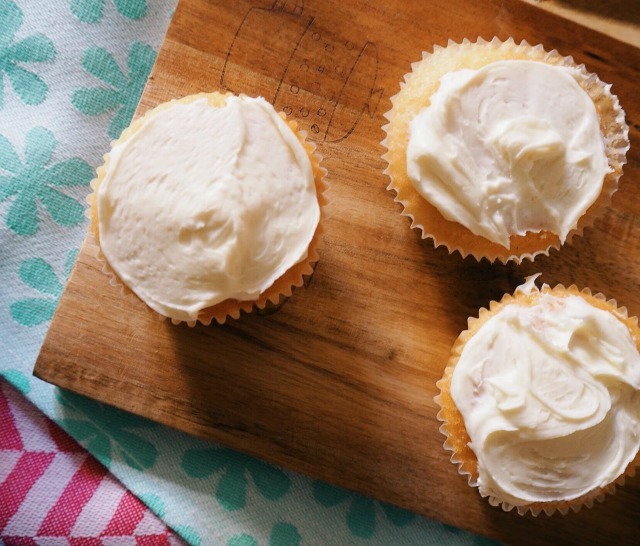 Last, but by no means least, we bought everything we needed to make and decorate cupcakes. 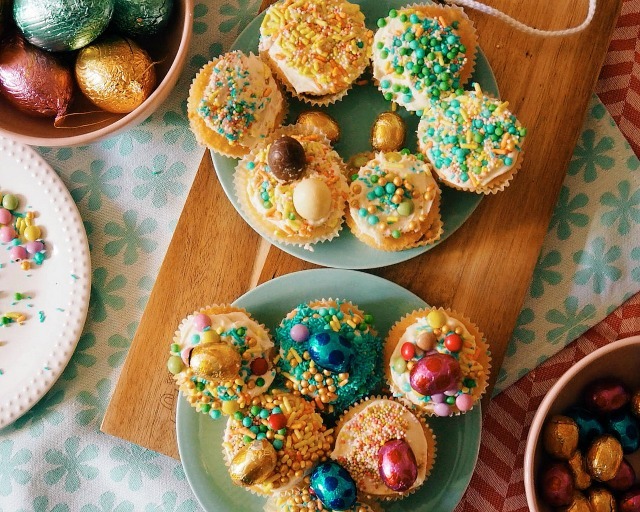 HEMA literally sells everything you could possibly need; baking cases for your cake mix and muffin trays to bake them in, decorations, beautiful crockery and table linen, and extra Easter egg essentials! 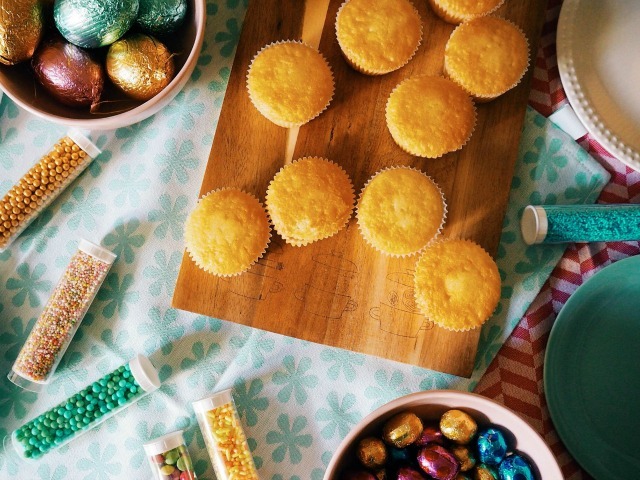 This Easter also sees in-store and online activities taking place for extra fun. 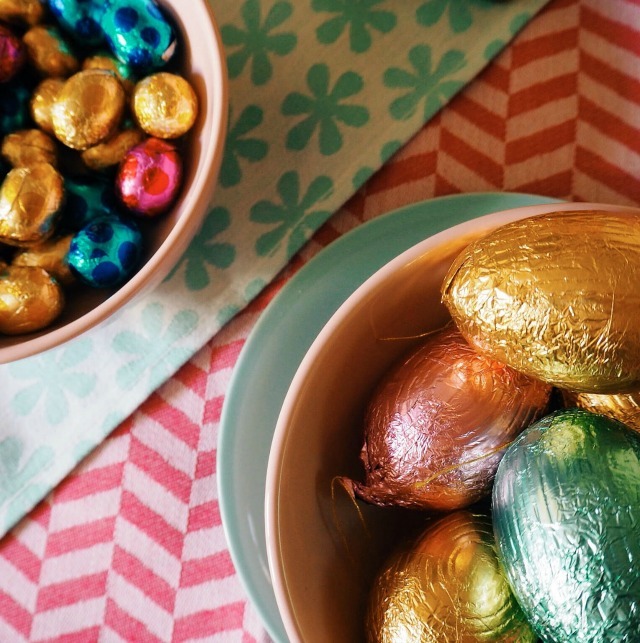 From 3rd April, kids visiting HEMA stores will be able to participate in an in store Easter egg hunt while grown ups can join in with the online version to win a £5 online discount. Hiya, I am Dutch and one of the things I miss most since moving is......... you guess, the HEMA. If you visit the Netherlands, you have to visit a proper HEMA, 10x as big as the one in Kingston and a heaven of well-designed, cool and practical goodies.